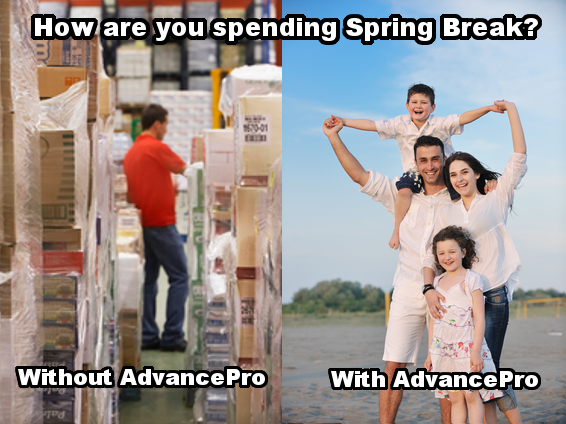 Would you rather spend time with your kids on Spring Break or counting stock in the back of your warehouse? The AdvancePro Mobile Business Management Suite is perfect for any small business owner that wants more freedom to work anywhere and have real-time accurate information at their fingertips. Spring Break is a time for family, a time to get out of the office and focus on what’s really important in life. We all love time away, however you can enjoy that time more when you know things are under control back at the shop. Imagine having all your inventory up to date, knowing where everything is, being able to sell product without wondering “do I have this in stock”? Better yet, imagine your customers logging in to your website, seeing your inventory, placing an order and your staff filling and shipping that order while you spend time with your family on a beach? This and more is possible with the AdvancePro Mobile Business Management Suite. Make this Spring Break the last Spring Break you spend worrying about your business. 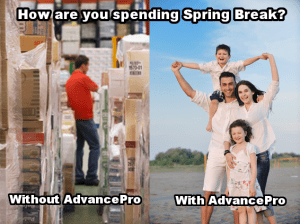 Contact us today to take advantage of the AdvancePro Mobile Business Management Suite and give yourself the peace of mind that comes with knowing your business is running as it should. For even more mobility freedom ask about our Cloud Hosted Offering. Fill out the form on the right to register for this deal today! Offer expires March 27th, 2015. Monthly hosting and ACCP Membership applicable. Valid on local installations only. Cloud hosted offerings available. Existing customers can take advantage of this offer, however each customer is limited to 1 B2B, 1 B2C and 1 Sales Rep Portal. 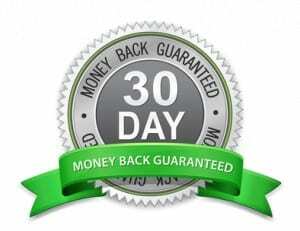 Existing Webservices and hosting services are not eligible for this offer. I’m ready take advantage of this offer!